CaribPR Wire, NEW YORK, NY, Tues. Jan. 8, 2019: Jamaica’s world-renowned jazz maestro, Dr. Monty Alexander, is kicking off the New Year in fine style with a musical explosion in his adopted city of New York. Dr. Alexander will open his New Year tour with a five-night performance at the Big Apple’s legendary jazz club, Birdland, from January 15th -19th. The Grammy-nominated international musician will present the New York show under the theme: ‘Love Notes-Jamaica to Jazz.’ The performance is sure to take fans through a musical history that starts in his homeland and features calypso, reggae, mento and other island music and ends with traditional jazz from his Grammy-nominated album. As with his performances, fans are sure to get into the rhythm while jazz purists are certain to be baptized into true fans of the genre. Tickets for the show at 315 West 44th St., New York, NY 10036 are US$30 to $40 and can be obtained here by selecting ‘Tickets’ on the performance night. Showtime on opening night, Jan. 15th is 11 p.m. while performances for Jan. 16th – 19th will start at 8:30 p.m. nightly. 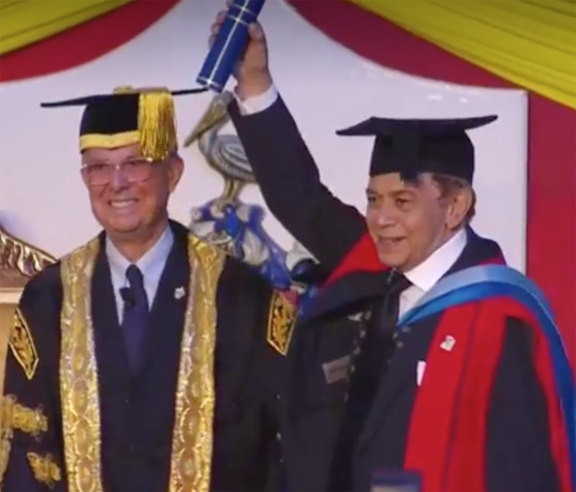 Alexander, CD, late last year received an honorary Doctorate of Letters of the University of the West Indies Mona Campus. Born Montgomery Bernard Alexander on D-Day in Kingston, Jamaica in 1944, the musical virtuoso has five decades of performances and over 70 CDs under his belt. Alexander began his musical career at age four by playing Christmas carols by ear. He is now most widely known as an upper echelon master of the swinging piano trio function as he has demonstrated with several top-shelf groups, including iconic units with bassist John Clayton and drummer Jeff Hamilton, and with the legendary bassist Ray Brown and guitarist Herb Ellis. Alexander also performs frequently with Harlem-Kingston Express, a double trio in which he coalesces his love for hard-swinging jazz with musical flavors that reflect his Jamaican heritage, shifting between an acoustic trio and master Jamaican practitioners of electric bass and drums. At 74, he continues to tour the world relentlessly with various projects, delighting a global audience drawn to his vibrant personality and soulful message. CaribPR Wire, NEW YORK, NY, Weds. Dec. 12, 2018: Jamaican-born, Grammy-nominated international jazz maestro, Monty Alexander, CD, is set to make his first US performance this holiday as a newly-minted honorary Doctorate of Letters of the University of the West Indies Mona Campus. The performance is sure to feature the maestro’s mashup of jazz with calypso, reggae, mento and other island music from his Grammy-nominated album, and leave many fans tapping their feet, straight up dancing or make converts of the staid. Tickets are US$20 for adults and $15 for students and can be obtained here or on Event Brite. Born Montgomery Bernard Alexander on D-Day in Kingston, Jamaica in 1944, the musical virtuoso has five decades of performances and over 70 CDs under his belt. Alexander began his musical career at age four by playing Christmas carols by ear. He is now most widely known as an upper echelon master of the swinging piano trio function as he has demonstrated with several top-shelf groups, including iconic units with bassist John Clayton and drummer Jeff Hamilton, and with the legendary bassist Ray Brown and guitarist Herb Ellis. CaribPR Wire, NEW YORK, NY, Weds. Feb. 28, 2018: Jamaica’s jazz great and Grammy nominated musical maestro, Monty Alexander, is among a hand-picked group of musicians set to celebrate the twentieth edition of ‘Carnaval on the Mile,’ in Miami in Coral Gables, Florida this weekend. Alexander will perform at the remodeled Miracle event, that will also feature musicians like Ozomatli, Negroni’s Trio, Shamarr Allen & the Underdawgs and Dr. Ed Calle. The free event is set for Saturday, March 3rd from 10 a.m. to. Midnight and from 10 a.m. to 8 p.m. on Sunday, March 4th. Monty Alexander and his Harlem Kingston Express will bring the curtains down on the show with a performance on March 4th from 6:45 – 8 p.m. on the Heineken stage. CaribPR Wire, NEW YORK, NY, Dec. 29, 2017: Award-winning, Jamaican-born jazz great, Monty Alexander, will bring his unique brand of jazz back to New York City for a jolly five-night New Year kick-off on January 2, 2018. Alexander, who has played with jazz royalty like Frank Sinatra, Dizzy Gillespie, Sonny Rollins, Tony Bennett and Milt Jackson among others, as well as with fellow national musicians like Ernest Ranglin and Sly & Robbie, is sure to have jazz and music fans on their feet as he returns to the famous Birdland Jazz Club in the Big Apple, at 315 West 44th Street in Manhattan, New York. The Grammy-nominated musician, who tells many incredible stories of his adventures from Jamaica to the world through music, will play Birdland from January 2nd-6th at 8:30 and 11 p.m., respectively, each night. Alexander is certain to open his play book for fans, which is well documented on over 70 CDs and spans a broad range of jazz, blues, gospel, bebop, calypso and reggae. Alexander, whose performances have been called pure magic by many journalists and jazz fans around the world and whose sets are undoubtedly “a refined concept of groove,” also has a busy rest of the year already planned. On January 16, 2018, he will play Yoshi’s Oakland in Oakland California at 8 p.m.
CaribPR Wire, NEW YORK, NY, Oct. 10 2017: Renowned Grammy-nominated, Jamaican jazz great, Monty Alexander, has taken his brand of jazz to fans around the world. But this month he returns to Upstate New York for a performance at the famous Jazz Forum. Alexander, who has been presented with the Commander In The Order Of Distinction for outstanding service to his homeland as a worldwide music ambassador, is set to bring his one-of-a-kind jazz to fans in Tarry Town, NY. The maestro, who has made his mark on the jazz music scene for his unique infusion of traditional jazz and reggae – the music of his homeland – will play at one of the country’s premiere not-for-profit jazz venues from Friday, October 20 to Saturday, October 21, 2017. Alexander will play two shows on both nights – at 7 p.m. and 9 p.m., respectively. Tickets are US $30 per night and can be purchased by selecting the day of attendance in the calendar here and clicking the Buy Tickets button. For more on Monty Alexander and his music visit him on YouTube or at http://www.montyalexander.com. You can also like him on Facebook at facebook.com/officialmontyalexander or keep up to date on his performance on Twitter at @montyHKE. CaribPR Wire, NEW YORK, NY, Fri. June 2, 2017: Jazz fans in San Francisco are in for a treat next weekend as award-winning, Jamaican jazz maestro, Monty Alexander, makes his debut at the 35th annual San Francisco Jazz Festival. Alexander, fresh from playing sold out concerts in Europe and Africa, will make a rare West Coast appearance with his band, the Harlem Kingston Express, at the celebrated Festival on Friday, June 8th. Show time is 8 p.m. at the Herbst Theater, 401 Van Ness Ave, San Francisco, CA. Tickets are US$30, $50 and $70 and can be obtained here. The San Francisco Jazz Festival made its debut in 1983 and is today an annual three-week celebration of some of the best jazz music anywhere, with over 30 concerts held over the three-week event. Fans who are unable to get tickets for the Festival can also catch the Grammy nominated musician in Hollywood at Catalina Bar & Grill Jazz Club at 6725 Sunset Blvd, Los Angeles, CA on Friday, June 9th and Saturday, June10th at 8:30 p.m. nightly. Tickets are $30 per person and can be obtained here or by logging on directly to catalinajazzclub.com/. Catalina’s supper club is a Hollywood institution known for presenting some of the best jazz talents to its top clientele and Alexander and his Harlem Kingston Express are without a doubt, no exception. The jazz legend is a Jamaican and American classic who continues to tour the world relentlessly. In Paris, France, recently, he thrilled 2,400 jazz fans at the Paris Philarmonie while in Zurich, Switzerland, his music was well received by the 1,500 who gathered at the Zurich Tonhalle. And in London, the master pianist played six sold out concerts at Ronnie Scott’s jazz club while also taking time out from his hectic performance schedule to make a first appearance at the 20th edition of the Saint Louis Jazz Festival in Senegal, Africa. The event is where artists share the roots of African music with musicians from all over the world. Alexander’s roots in the Caribbean island of Jamaica, the birthplace of reggae, allows him to offer his global audience a spirited fusion of jazz and Jamaican musical expression unlike few contemporary jazz musicians of today. His is the spirited conception of a melody distinctly his own, that draws in even the squarest “civilian” and takes them on a music journey of blues, gospel and bebop, calypso and reggae. Alexander’s work has been documented on more than 70 CDs and includes albums like the Grammy nominated “Monty Alexander’s Harlem-Kingston Express Live! @ Dizzy’s Club Coca Cola,” Harlem-Kingston Express Vol. 2: The River Rolls On, Stir It Up and Uplift. In August 2000, the Jamaican government designated Alexander Commander In The Order Of Distinction for his outstanding service to his homeland as a worldwide music ambassador. CaribPR Wire, NEW YORK, NY, Mon. March 6., 2017: Minneapolis jazz fans will be in for a treat this Wednesday, March 8, 2017 as Grammy-nominated, award-winning Jamaican jazz pianist and band leader, Monty Alexander, and his Harlem Kingston Trio, bring the warmth of Jamaica to the Dakota Jazz Club and Restaurant. Along with his swinging jazz piano interpretations, Alexander says he will be bringing his Jamaican heritage – all stirred up for an uplifting ‘One Love’ experience – at the rare Minneapolis’ entertainment gem at 1010 Nicollet, Minneapolis, MN. Alexander and his band will perform only one show only so get your tickets now. Tickets are $35 and $30, respectively, and can be secured now here or directly at http://sa1.seatadvisor.com/sabo/servlets/TicketRequest?eventId=1128014&presenter=DAKOTA&venue=&event=. Alexander is most widely known as an upper echelon master of the swinging piano trio function, as he has demonstrated with several top-shelf groups, including iconic units with bassist John Clayton and drummer Jeff Hamilton, and with the legendary bassist Ray Brown and guitarist Herb Ellis. A native of Kingston, Jamaica, Alexander also performs frequently with Harlem-Kingston Express, a double trio in which he coalesces his love for hard-swinging jazz with musical flavors that reflect his Jamaican heritage, shifting between an acoustic trio and master Jamaican practitioners of electric bass and drums. In August 2000, the Jamaican government designated Alexander Commander In The Order Of Distinction for outstanding services to his homeland as a worldwide music ambassador. Furthermore, every Labor Day weekend since 2010, Alexander has served as Artistic Director and perennial performer at his namesake Monty Alexander Jazz festival in Easton, Maryland. For more on Monty Alexander and his music visit him on YouTube or at montyalexander.com. You can also like him on Facebook at facebook.com/officialmontyalexander or keep up to date on his performance on Twitter at @montyHKE. Jazz greats Monty Alexander, John Clayton and Jeff Hamilton will mark the 40th anniversary reunion of one of the great trios in jazz on July 10, 2016 in Hollywood, CA. CaribPR Wire, NEW YORK, NY, Weds. July 6, 2016: It’s the reunion that will have jazz lovers humming as Jamaica’s Legendary Jazz Great Monty Alexander returns to the stage with Grammy-winning bassist John Clayton and renowned drummer Jeff Hamilton to mark the 40th anniversary reunion of one of the great trios in jazz. Pianist Monty Alexander is an American classic. At 71, he tours the world relentlessly with various projects, delighting a global audience drawn to his vibrant personality and soulful message. His spirited conception, documented on more than 70 CDs, draws upon the timeless verities: endless melody-making, effervescent grooves, sophisticated voicings, a romantic spirit, and a consistent predisposition “to build up the heat and kick up a storm,” as Alexander puts it. John Clayton is a natural born multi-tasker, excelling as a composer, arranger, conductor, producer, educator, and an extraordinary bassist. His skills have garnered him a number of challenging assignments and commissions. With a Grammy on his shelf and eight additional nominations, artists such as Diana Krall, Paul McCartney, Regina Carter, Dee Dee Bridgewater, Gladys Knight, Queen Latifah, and Charles Aznavour vie for a spot on his crowded calendar. Clayton is the co-founder of the Clayton-Hamilton Jazz Orchestra and is a former bass teacher at Cal State Long Beach, UCLA, USC and the University of Southern California Thornton School of Music. Now, in addition to individual clinics, workshops, and private students as schedule permits, he also directs the educational components associated with the Lionel Hampton Jazz Festival, Centrum Festival, and Vail Jazz Party. 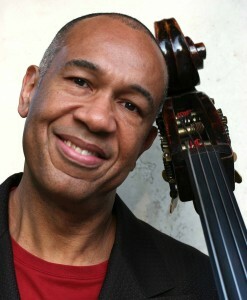 His career highlights include arranging the ‘Star Spangled Banner” for Whitney Houston’s performance at Super Bowl 1990, which went platinum; playing bass on Paul McCartney’s CD “ Kisses On The Bottom;” arranging and playing bass with Yo-Yo Ma and Friends on “Songs of Joy and Peace;” arranging playing and conducting the 2009 CD “Charles Aznavour With the Clayton-Hamilton Jazz Orchestra,” and numerous recordings with Diana Krall, the Clayton Brothers, the Clayton-Hamilton Jazz, Orchestra, Milt Jackson, Monty Alexander and many others. 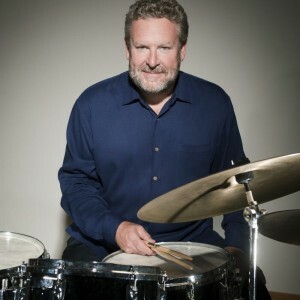 Originality is what versatile drummer Jeff Hamilton brings to the groups he performs with and is one of the reasons why he is constantly in demand, whether he is recording or performing with his trio, Oscar Peterson, Ray Brown, the Clayton Brothers or co-leading the Clayton-Hamilton Jazz Orchestra. Hamilton’s recording, ‘It’s Hamilton Time,’ (Lake Street Records), received enormous airplay while reaching #5 on the Gavin national jazz radio chart. His trio’s second release, ‘Jeff Hamilton Trio-LIVE!,’ (MONS) was nominated by critics for best jazz recording in Germany in 1997. The trio’s second MONS release was entitled, ‘Hands On.’ ‘Hamilton House-Live at Steamers,’ (MONS) was the trio’s 2000 release. Monty Alexander & Friends: Frank Sinatra at 100 With Kurt Elling in Rose Theater, Jazz at Lincoln Center – February 12-13, 2016, 8 p.m.
CaribPR Wire, New York, NY – February 1, 2016 – At 17 years old, a serendipitous encounter with Frank Sinatra and his long-time pal Jilly Rizzo changed the trajectory of Jamaican-born pianist Monty Alexander’s career forever: Alexander would soon become the house pianist for the famed Jilly’s club in New York City and develop a unique relationship with its most famous patron. Sinatra’s centennial elicits fond memories of Alexander’s time spent at the intimate hangout, and with the help of GRAMMY® Award-winning and DownBeat Critics Poll-dominating singer Kurt Elling, he will share stories and anecdotes from a treasured and rare perspective. A masterful pianist, Alexander’s career spans five decades and includes collaborations with some of the most important figures in jazz, like Milt Jackson, Miles Davis, and Dizzy Gillespie, as well as an illustrious recording career as a leader. National touring artist Elling, referred to by The Guardian as, “a kind of Sinatra with superpowers,” will provide his vocal interpretation of the classic tunes, of which he is no stranger to. Joining the duo will be bassist Hassan Shakur, guitarist Frank Vignola, hand drummer Robert Thomas Jr., and drummer Dennis Mackrel. This early, nurturing period in which the young pianist and an iconic hero spontaneously mused on saloon songs up into the wee hours of the night is a Valentine’s weekend treat sure to satisfy both nostalgic and contemporary tastes. Tickets to Monty Alexander & Friends can be purchased through at jazz.org, 24 hours a day, or via CenterCharge at 212-721-6500, open daily from 10 a.m. to 9 p.m. Tickets can also be purchased at the Jazz at Lincoln Center Box Office, located on Broadway at 60th Street, ground floor. Box Office hours: Monday–Saturday from 10am to 6pm (or 30 minutes past curtain) and Sunday from noon to 6pm (or 30 minutes past curtain). Hot Seats, $10 seats for select shows in Rose Theater, are available for purchase to the general public on the Wednesday prior to each performance. Subject to availability. Jazz at Lincoln Center’s Hot Seats Ticket Discount Program is supported by the New York City Department of Cultural Affairs in partnership with the City Council. Please visit jazz.org for more information. CaribPR Wire, NEW YORK, NY, Mon. 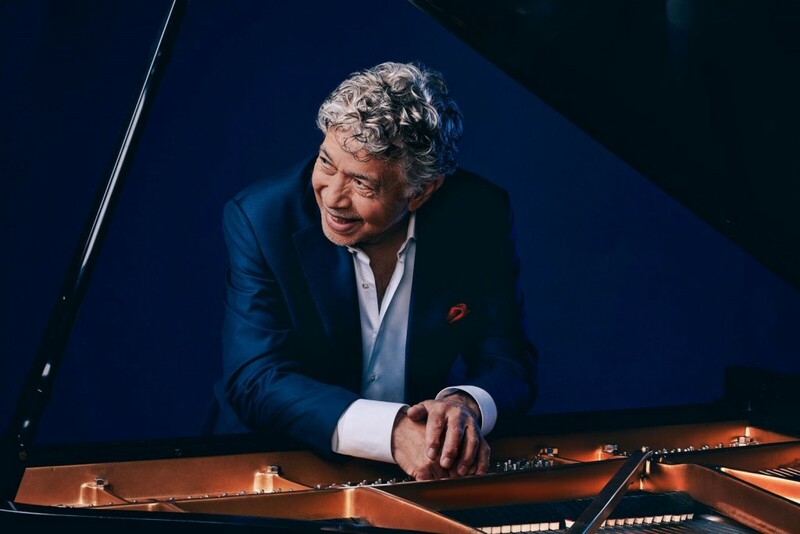 Nov. 9 2015: Jamaica’s legendary award-winning international master pianist, Monty Alexander, fresh from a tour of Japan, will be taking his Harlem Kingston Express to Hollywood this weekend. Alexander, who has built a reputation exploring and bridging the worlds of American jazz, popular song, and the music of his native Jamaica, will bring ‘A Jamaica Reggae/Jazz One Love Party’ to Los Angeles, California this November 13th and 14th. He and his Grammy-nominated band will perform at the popular Catalina Jazz Club at 6725 W. Sunset Blvd. in Hollywood, CA from 8:30 PST over the two nights where he will treat fans to his own version of contemporary jazz. Tickets can be purchased in advance at http://www.ticketweb.com/t3/sale/SaleEventDetail?dispatch=loadSelectionData&eventId=5995895&pl=cbg or by clicking here. Alexander has over 70 recordings under his belt and has performed globally with renowned artists including Dizzy Gillespie, Frank Sinatra, Ray Brown, Natalie Cole and Tony Bennett among numerous others. He was awarded the title of Commander in the Order of Distinction for outstanding services to Jamaica in August 2000 by the Jamaican government and in 2012, ‘Harlem Kingston Express: Live!’ was singled out by both the recording industry and fans and received a Grammy award nomination. In the summer of 2012, the freewheeling virtuoso was also awarded the prestigious German Jazz Trophy, “A Life for Jazz,” while in November of the same year, he received the Caribbean American Heritage Luminary Award from the Institute of Caribbean Studies in Washington, D.C.
His ‘Harlem-Kingston Express Vol. 2: The River Rolls On,’ was released in April on the Motéma Music label and remained for weeks at number one the Jazz radio charts. Last year, ‘Harlem Kingston Express Vol. 2’ was nominated for a Soul Train award. Alexander maintains a rigorous touring schedule worldwide because of his unchained improvisational style – playing from jazz clubs to concert halls and top Jazz Festivals. CaribPR Wire, NEW YORK, NY, Thurs. 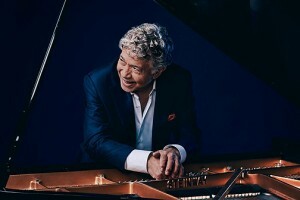 July 9, 2015: Legendary piano master and Jamaica’s Commander Of Distinction, Monty Alexander, will lead a heartfelt exploration of one of his musical heroes, Nat ‘King’ Cole, later this month in Boston. Alexander, along with special guests Caterina Zapponi, his lovely wife and singer, and Allan Harris who recorded a Cole tribute of his own entitled ‘Nat King Cole: Long Live the King;’ will lead the ‘Monty Alexander: Remembering Nat ‘King’ Cole’ salute at Scullers Jazz Club at the DoubleTree Guest Suites, 400 Soldiers Road in Boston, Massachusetts on July 25th. Alexander, whose performances the Wall Street Journal describes as “an outrageously good time,” says Cole became an inspiration from the moment he heard his albums in his parent’s home as a little boy in Jamaica. Alexander will also play NJPAC in New Jersey on July 31st before coming to New York on August 1st where he will play the King’s Theatre in Brooklyn. On September 9th, he heads to St. Louis for a major performance at the Jazz Bistro. For more on the Caribbean’s greatest jazz pianist performance schedule see montyalexander.com. Alexander has built a reputation exploring and bridging the worlds of American jazz, popular song, and the music of his native Jamaica finding in each a sincere spirit of musical expression. With more than 70 recordings under his belt, Alexander has performed and recorded with artists from every corner of the musical universe and entertainment world: Frank Sinatra, Tony Bennett, Ray Brown, Dizzy Gillespie, Sonny Rollins, Clark Terry, Quincy Jones, Bobby McFerrin, and many more. In August 2000 the Jamaican government awarded Alexander the title of Commander in the Order of Distinction for outstanding services to Jamaica as a worldwide music ambassador. And in 2012, ‘Harlem Kingston Express: Live!’ was singled out by both the recording industry and fans and received a Grammy award nomination. In the summer of 2012, Alexander was also awarded the prestigious German Jazz Trophy, “A Life for Jazz,” while in November of the same year, he received the Caribbean American Heritage Luminary Award from the Institute of Caribbean Studies in Washington, D.C. His ‘Harlem-Kingston Express Vol. 2: The River Rolls On,’ was released in April on the Motéma Music label and remained for weeks at number one the Jazz radio charts. In 2012 also, ‘Harlem Kingston Express: Live!,’ was singled out by both the recording industry and fans and received a Grammy nomination and last year, ‘Harlem Kingston Express Vol. 2’ was nominated for a Soul Train award. Alexander maintains a rigorous touring schedule worldwide, from jazz clubs to concert halls and playing at Jazz Festivals. In Hal Leonard’s 2005 book ‘The Fifty Greatest Jazz Piano Players of All Time,’ Alexander is listed among the top five Jazz pianists of all time. You can like Alexander on Facebook at facebook.com/officialmontyalexander or keep up to date on his performance on Twitter at @montyHKE. 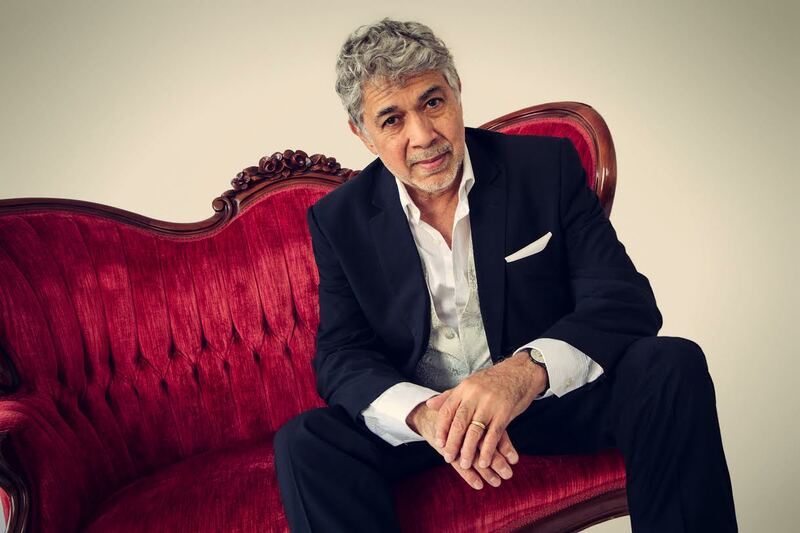 CaribPR Wire, NEW YORK, NY, Tues. April 14, 2015: Fresh from a one night performance in The Windy City of Chicago, Jamaican-born award-winning jazz great, Monty Alexander and his Grammy-nominated band, the Harlem Kingston Express are heading to Canada. Alexander and his band will take over the Royal Conservatory Koerner Hall in Toronto, Canada for a one night performance on April 25th as part of the 2014-2015 Season. Toronto jazz fans, including Caribbean Canadians, are being urged to get their tickets now to ensure a seat for a night that will be truly unforgettable. “Our brand of jazz lets people get up and dance as we infuse traditional jazz with a dash of Caribbean culture that truly is a true representation of this beautiful region and its people,” said the award-winning musician. Alexander has built a reputation exploring and bridging the worlds of American jazz, popular song, and the music of his native Jamaica. With 70 recordings under his belt, he has performed globally with renowned artists including Dizzy Gillespie, Frank Sinatra, Ray Brown, Natalie Cole and Tony Bennett among numerous others. Legendary Jamaican Jazz Musician Monty Alexander Returns With A Holiday Tradition To Washington, D.C. Legendary Jamaican Jazz Musician Monty Alexander. CaribPR Wire, NEW YORK, NY, Dec. 19, 2014: In what has now become a holiday tradition at Washington, D.C.’s most jazz club, Grammy and Soul Train-nominated Jamaican jazz musician, Monty Alexander, will return to Blues Alley to ring out the old year and ring in the new. Alexander returns to the famous jazz club at 1073 Wisconsin Ave. NW, Washington, D.C., for the third consecutive year, with a jazz performance that is certain to leave his audience yearning for more. The legendary Caribbean Piano-man will be presenting his “Uplift” show from December 26th to the 29th. On December 30th and New Year’s Eve, Dec. 31st, he will be joined by his band “Harlem Kingston Express” to add some Caribbean flavor to the shows. For reservations log on here or to http://bluesalley.com/events.cfm. Friday – 12/26 – 8 and 10 p.m.
Saturday – 12/27 – 8 and 10 p.m.
Sunday – 12/28 – 8 and 10 p.m.
Monday – 12/29 – 8 and 10 p.m.
Tuesday – 12/30 – 8 and 10 p.m.
Wednesday – 12/31 – 6:30 and 10:00 p.m. In a career spanning five decades, Alexander has built a reputation exploring the worlds of American jazz, popular song and the music of his native Jamaica, finding in each a sincere spirit of musical expression. With 70 recordings under his belt, he has performed with renowned artists including Frank Sinatra, Ray Brown, Natalie Cole and Tony Bennett among numerous others. In 2012, ‘Harlem Kingston Express: Live!,’ was singled out by both the recording industry and fans and received a Grammy nomination. In 2014 ‘Harlem Kingston Express Vol. 2’ was nominated for a Soul Train award. Alexander maintains a rigorous touring schedule worldwide, from jazz clubs to concert halls and playing at Jazz Festivals. Monty Alexander's will ‘star’ in "Jazz around the West Indies" at the Dizzy's Club Coca Cola in New York City from Sept 17-21, 2014. CaribPR Wire, NEW YORK, NY, Mon. September 8, 2014: From Grammy nominee to Commander in the Order of Distinction and Caribbean American Heritage Luminary, Jamaica’s virtuoso, Monty Alexander, has achieved them all in his more than five decade career. This September, Alexander will add another stripe to his lengthy portfolio as he ‘stars’ in “Jazz around the West Indies” at the Dizzy’s Club Coca Cola in New York City. Alexander and his award-winning group, the Harlem Kingston Express, are set to perform at Jazz at Lincoln Center show from September 17-21 in the five-day series that is a first for the legendary New York City jazz venue. Reservations for the historic show at Broadway and 60th Street on the 5th Floor in Manhattan can be obtained here or by logging on directly to http://dizzys.jalc.org/index.php?option=com_dizzyclub&view=performances&event_id=12895. Show times nightly are 7:30 and 9:30 p.m. For bookings call 212-258-9595. Tickets are $40 nightly and $45 for the Saturday night performance. In August 2000 the Jamaican government awarded Alexander the title of Commander in the Order of Distinction for outstanding services to Jamaica as a worldwide music ambassador. And in 2012, ‘Harlem Kingston Express: Live!,’ was singled out by both the recording industry and fans and received a Grammy award nomination. 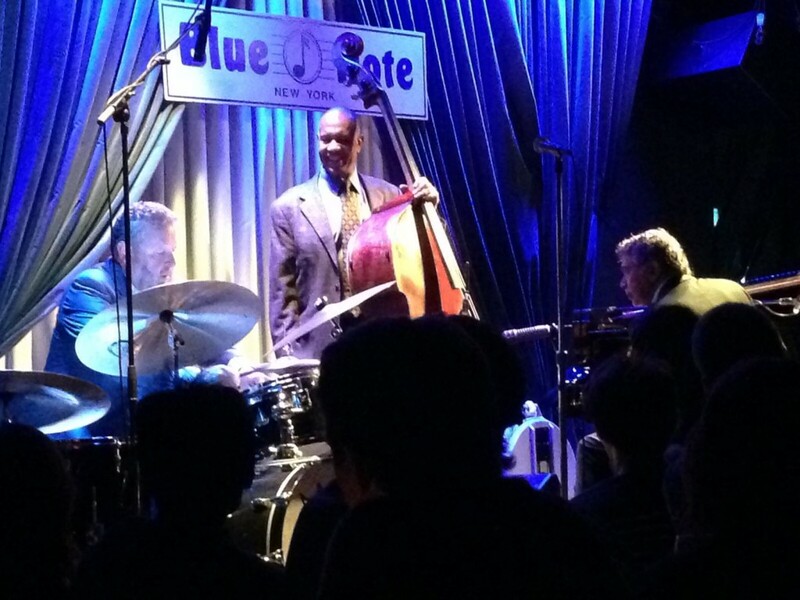 Dec. 26-31 – Washington, DC, Blues Alley.